Martha Grover seeks to enhance the experience of interacting with functional objects. 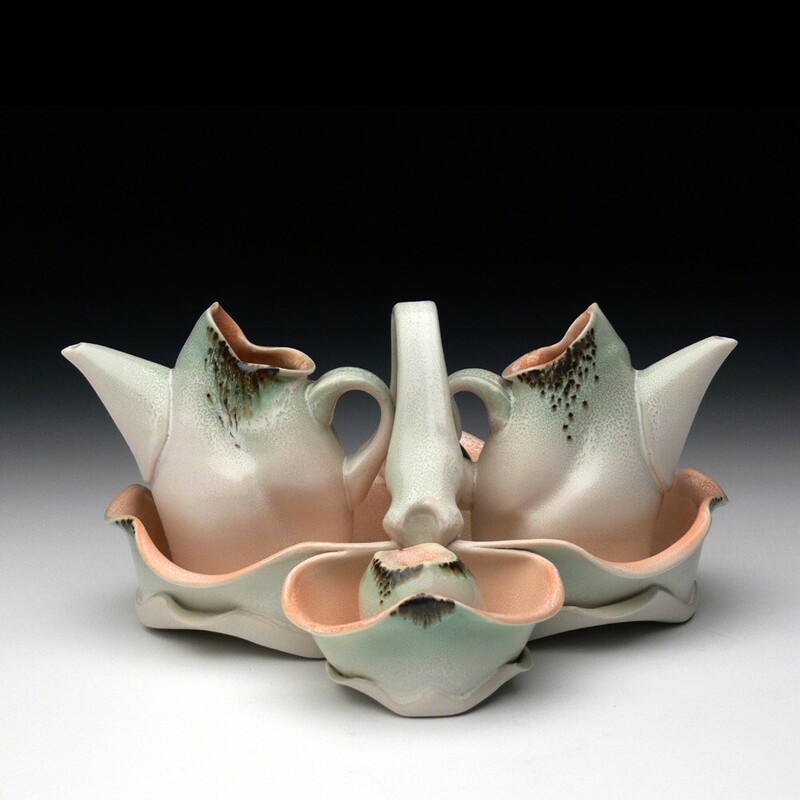 She works toward creating a sense of elegance for the user while in contact with each porcelain piece. Reminiscent of orchids, flowing dresses, and the body, the work has a sense of familiarity and preciousness. Direct curves are taken from the female figure, as well as the fluidity of a dancer moving weightlessly across the floor. The space between elements is electrified with anticipation and tension. Grover thinks of the fluid visual movement around a piece, as a choreographer would move dancers across a stage. Transmitting desire - there is a sense of revealing and concealing, a layering of details that serves to catch our attention immediately and then the details draw us in, to make a closer inspection. In our lives, we often move past the objects surrounding us at a very quick pace. Grover's work generates a moment to pause. Her goal is create an undeniable presence, one that acts as an invitation to explore the work thoroughly, taking time to know all of its many facets. Only through sustained interaction we can truly know and appreciate someone or something.